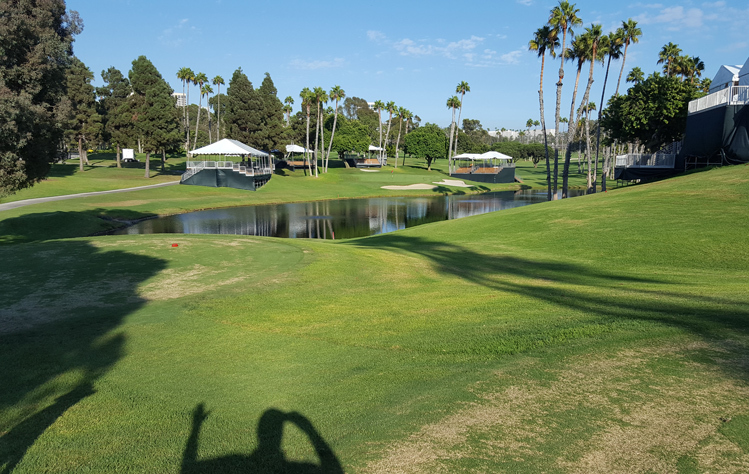 Newport Beach Country Club Hole 3: This par five has an uphill drive and crushing one between the bunkers will give a few to the green, which is back downhill with a lake to its left. OB is right the length of the hole. 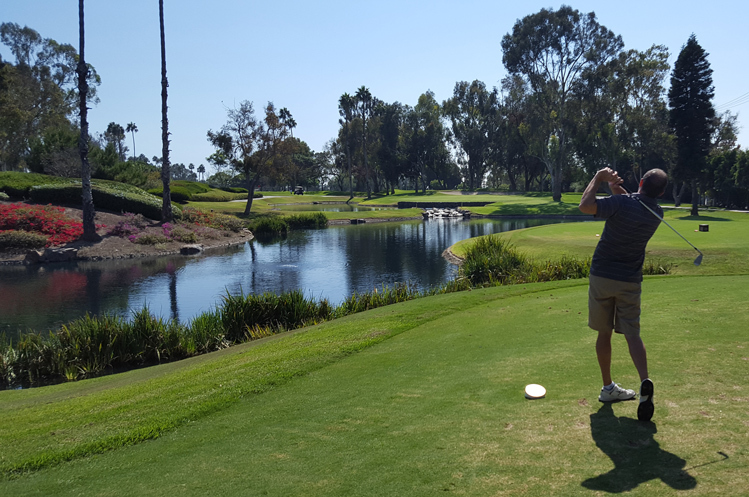 Newport Beach Country Club Hole 4: This par three is a tough one, especially when the pin is up or to the left as the water is definitely in play and there is not too much room to miss. The green is tough to putt as well. 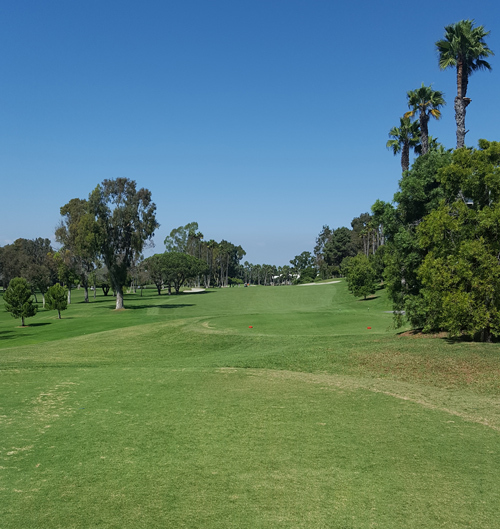 Newport Beach Country Club Hole 7: This medium length par four is similar to others on the course as the key is to avoid the sand traps and/or being blocked by the large trees on either side of the fairway. The green here slopes severely from right to left and back to front. 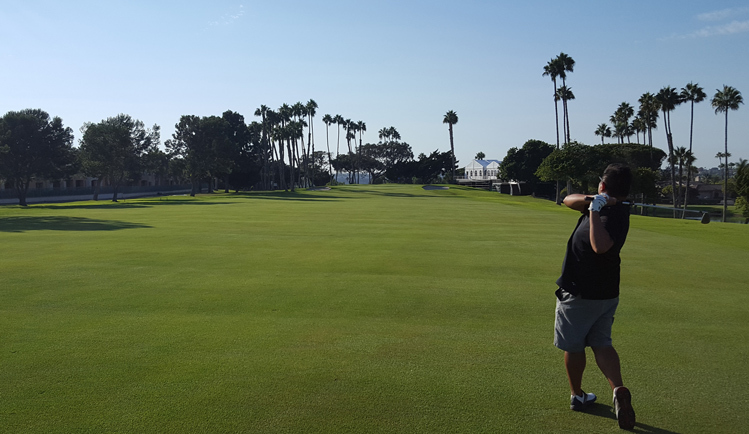 Newport Beach Country Club Hole 16: This is a long par four that is very straight. There is out of bounds to the left on the tee shot and a slope down to the right of the hole that should be avoided as well. 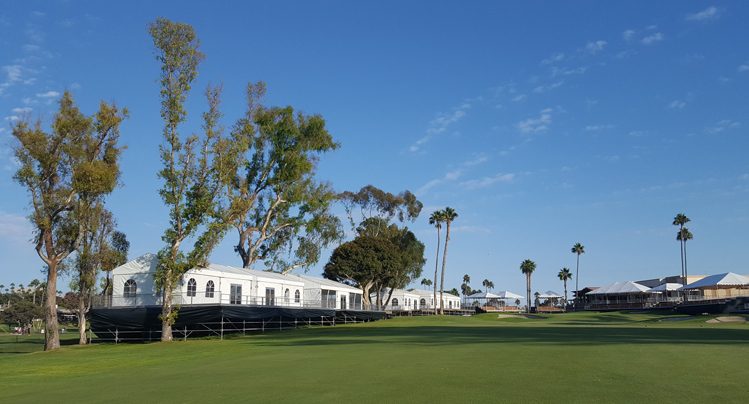 Newport Beach Country Club Hole 17: This downhill par three features a tough shot that must avoid the water, clearly, but also not get involved in one of the numerous sand traps that will make up and down real tough.